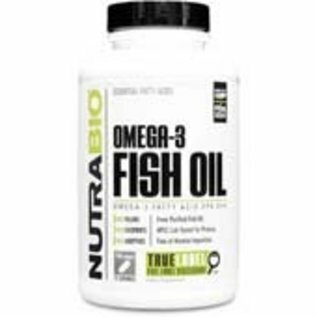 Omega-3 essential fatty acids (EFAs) are polyunsaturated good fats found in oil from cold-water fish such as salmon, mackerel and tuna, or in seeds of flax, walnuts, hemp and other plants. They're classified as essential because your body needs them for complete health, yet cannot produce them on its own. They must be obtained through diet or supplementation. Omega-3 EFAs play an important part in cardiovascular wellness by helping to maintain healthy cholesterol levels, blood pressure and heartbeat. They're believed to reduce the "stickiness" of blood cells (also known as platelet aggregation), promoting healthy circulation. The American Heart Association recommends consuming fatty fish at least twice a week, or that omega-3 EFAs be obtained through regular supplementation, for heart health protection. 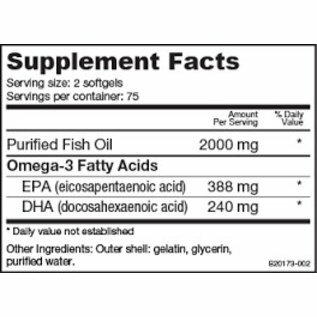 Omega-3 EFAs may also contribute to neurological, or brain, health. Nearly 60 percent of the human brain is composed of structural fat, a third of which is docosahexaenoic acid (DHA). DHA is essential for the proper growth and development of the infant brain, and appears to affect function throughout one's lifetime. Low levels of this important fatty acid may be connected to increased incidence of poor mood, personality and behavior. 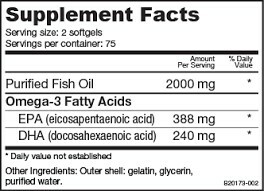 Because Omega-3 EFAs can be converted into anti-inflammatory substances (prostaglandins and leukotrines), they're also believed to provide joint support, promoting flexibility, mobility and potential pain relief.